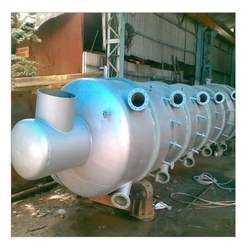 Pioneers in the industry, we offer deodorizing plant from India. Raw material Palm oil & Crude edible oil. Deodorizing Plant is the quality-defining process step in the refining oils fats therefore particularly significant. Undesired by-products remain in the oil or fat following the preceding refining processes. These can impair the odor, taste or shelf life of the products must therefore be removed. Some of these by-products are till bound in the fat molecules. They are only released by chemical transformation provided that the oil has been sufficiently retained in the deodorizer. Looking for Deodorizing Plant ?